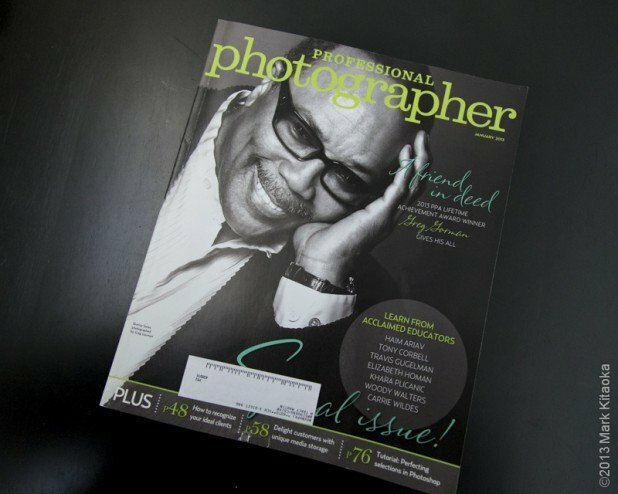 The other day my partner Tracy announced that the new issue of Professional Photographers of America’s (PPA) magazine had arrived and was on the dining room table. I looked at the image on the cover and thought to myself, “Wow it’s about time they had a great portrait on the cover. Great black and white with a story in the image. I rarely see that nowadays.” Later in the week she said, “Babe I’m surprised you haven’t read about Gorman, the shot on the front is his and he’s featured since he’s getting an award later this year, Lifetime Achievement!” Well I guess I better look through the article to see what’s BS and what’s not…. 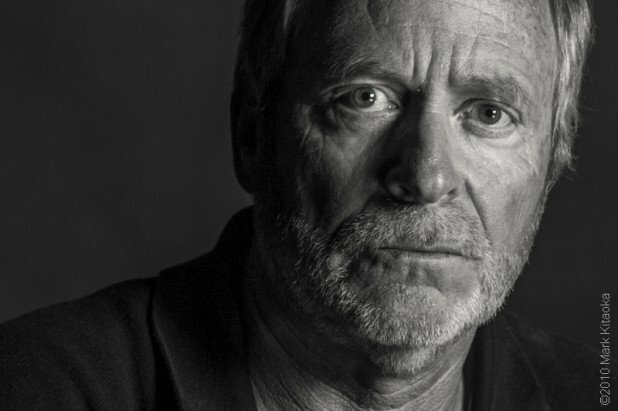 For anyone who follows photography the name Greg Gorman is synonymous with classic and striking black and white portraiture. When I first began to seriously pursue the hobby of photography I would find myself searching the web for imagery that left me in awe. So many of the photographers I admired had passed away, Avedon, Karsh and Cartier-Bresson were among the late artists I constantly studied. I began to follow Greg when I came upon his portrait of Sophia Loren. I found myself mesmerized by her expression, her pose and the beauty he created of an already gorgeous woman. His portraiture told a story beyond the image and it’s one of the elements I found so compelling in his work. I didn’t bother to check to see if Gorman had passed away since it mattered little to me. It was his work I was studying, not the man. I’m going to briefly rewind this story back to 2010. A long time friend of mine was having a surprise birthday party which I attended. Jeff Resnick and I had been friends because our boys were both in Scouts together as well as in music. Our wives would often joke that it was best for us to sit together during the high school plays since we both snored during performances. We watch best with our eyes closed to appreciate the music. Anyway during the party Jeff mentioned that his brother Seth was also a photographer and we may want to talk. Little did I know that in the usual Jeff manner he completely understated his brother’s accomplishments in photography. Among his many accomplishments Seth covered the historic Miracle on Ice Olympic Hockey game in 1980 and his photograph was the cover for Sports Illustrated. During my brief conversation with Seth (he and his brothers were occupied roasting the eldest brother Jeff) he mentioned that he was in town to head up to see Greg Gorman to help him teach. GREG GORMAN? You KNOW THE Greg Gorman? Seth got his signature giggle and smile and responded that he and Greg have known one another for quite some time. Seth suggested that I attend Greg’s class and after thinking it over for 2 seconds I thought SURE! He’s not dead right? Walking along the sand dunes in Mendocino. 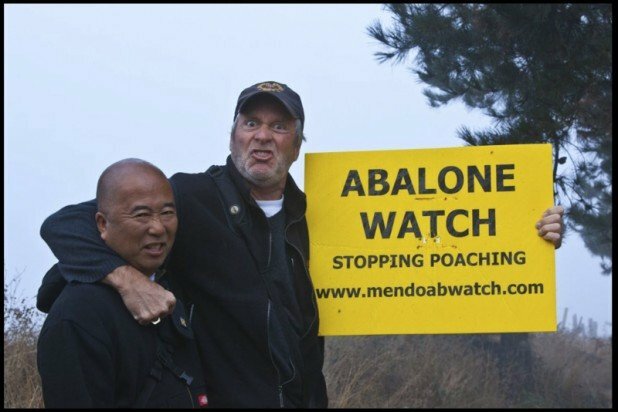 So I took PTO from my day job and packed my bags, camera gear and laptop and headed up to Albion, CA in Mendocino County where Gorman has his second home. I checked into my hotel and went to his front gate the evening before classes began. I rang the bell and his booming voice simply said “Yes?” “Hi Greg, it’s Mark Kitaoka and I’m here as scheduled to meet for dinner.” His response, “You’re a day early, come back tomorrow.” When I said OK, he immediately started laughing and said “I’m only pulling your leg, come on in.” Indication one, I like this guy already, he has a sense of humor. Little did I know just how much of a sense of humor he has. After entering his home located on the apex of a cliff overlooking the Mendocino coast I met the three other student who were part of my class. Jamie, Zan and another guy whose name escapes me. Several of Gorman’s assistants were there as well along with Gerry, Gorman’s personal assistant and jack of many trades. We all shared a meal and got to know one another. It was during that introduction that I mentioned to Gorman I didn’t want to be coddled, or have sunshine blown up my rear during my week with him. I wanted straight criticism and suggestions about my photography. His curriculum included all of the things I came to learn, lighting, both indoor and outdoor using strobes and natural light, how to engage models (talent) and how to manage a photographic portfolio and business. Each day contained the same format, a lesson, hands on shooting, assisting the other photographers and the next morning a critique by both Gorman and Seth. 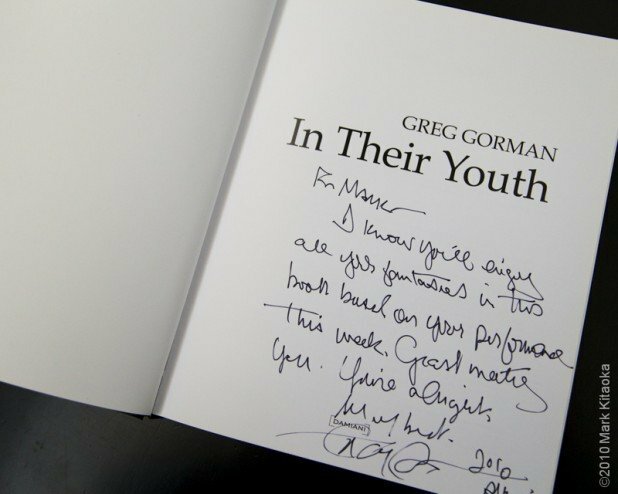 During our sessions Gorman and I began to banter and since I grew up in LA I am most comfortable bantering with others. I will only say that Gorman and I began to banter in a way that is anything but appropriate. I believe it was Zan who said something like “Thank god this place has NO HR department.” In reality our banter between one another would be something the ACLU would need to address, since it was regularly beyond what any HR department could handle. It was then that I knew Gorman was my kind of people. This shot says much about how we interact…. “Not bad or it’s a solid shot” were the highlights of my compliments from Gorman. Gorman is a great teacher, but more important he is a good soul. What I observed is his passion for photography and those who are brave enough to listen to what he has to say. He his generous with his time and his knowledge. There are always those whose art we admire and sometimes we are let down by the person behind the art. Such is not the case with Gorman. It’s been three years since I spent a week learning from him and to this day when I really need help on a session, I know that I can count on him to give me the straight scoop. Gorman may not be the best looking or tallest guy with notoriety I know, but he’s OK. Congrats on your awards Gorman, I can’t think of anyone more deserving.